Contrary to what you may believe, having your home water lines professionally replaced does not have to be a financially painful, stressful process. In fact, innovative trenchless pipe replacements can be completed in a matter of hours, significantly lowering overhead labor costs and mitigating unsightly lawn damages. If you’re having difficulty with damage to your home water line, and want to avoid the negative repercussions of conventional, digging pipe repairs, we suggest you consider trenchless, cured-in-place line replacement options; methods which have quickly become the preferred method of pipe replacement across the country. Modern water pipe replacement jobs are often completed with innovative trenchless technologies, which essentially eliminate costly and damaging lawn digging. In these methods, pipe repair specialists use cured-in-place pipe to mend any damages, repairing affected areas with liquid Perma-liners and epoxy resins. Pipe bursting is the trenchless solution to total pipe replacement. By using a sturdy bursting head to fragment and push away your existing pipe, this technique creates a lengthy cavity for new pipe to be inserted seamlessly; a new pipe that is connected to the back end of the bursting head. This allows replacement to be completed without extensive, lawn-damaging trenching, with the bursting head and pipe being fed through a small entry point. One of the greatest benefits of modern water pipe replacement techniques is their affordability. Trenchless technologies, requiring minimal digging operations, are cost-effective in both the short- and long-term. As manual, trenching labor is eliminated in these methods, overhead worker costs are significantly limited. The efficiency and work requirements of these trenchless techniques result in lowered operation costs that can’t be beat by any other method. When considering water pipe replacement options, many homeowners don’t take into account the costs of lawn renovations and repair materials, which build up quickly with digging replacements. As if these trenchless solutions weren’t effective enough, they can also improve your home water pipe performance. As trenchless pipe bursting literally bursts your damaged pipe and forces pipe fragments away, room is then cleared for newer, larger diameter replacements. These highly efficient replacement options can increase the flow and pressure of your home’s water line, going far beyond simply repairing your pipes. Modern water pipe replacement operations can be completed in a single day, when the right techniques and trenchless technologies are employed. This stems from how significantly laborious work is cut from the entire replacement process; without lengthy digging and pipe excavation, trenchless water line replacement can be done in a mere matter of hours. As these solutions can be completed in a span of hours, costs are severely cut. 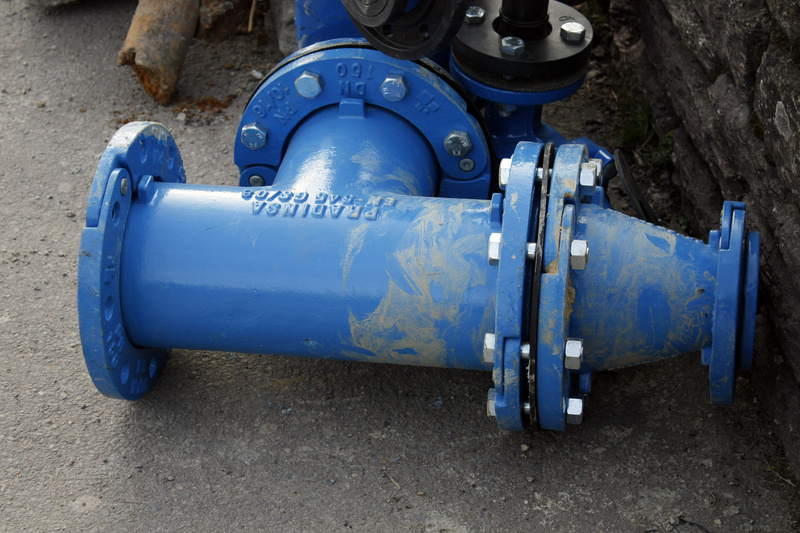 In a practical sense, trenchless, cured-in-place pipe replacements are the most efficient way to fix your damaged or malfunctioned water line. In addition to an exceptional replacement speed, these trenchless solutions can repair almost any kind of damage to your home water line. From plant penetration, cracking and pipe corrosion to entire missing pipe sections, cured-in-place line replacements can restore a water pipe to its original performance, and even beyond. No matter the circumstances regarding your home water line, Perma-liner replacements and pipe bursting can restore your pipes quickly and affordably. Even with pipe breaks that come with aging pipe, such as those common in Orangeburg pipelines, trenchless line renovations efficiently renovate any damages. Many homeowners hesitate from even having their pipes checked and repaired because they know how damaging trenching pipe replacements can be. Traditional, digging water pipe replacements often rack up renovation charges by digging out long lengths of lawn soil, causing homeowners further stress and budgetary strain. Fortunately for you, it doesn’t have to be this way. With highly efficient, trenchless water line repair, extensive lawn damage can be virtually eliminated from your line replacement operation. These techniques are completed using small, non-invasive entry holes, through which replacement pipes, bursting heads and epoxy resins are fed. If that’s not enough reason to avoid having your water line properly replaced with traditional digging methods, these techniques can even be dangerous for both repair workers and your family. Harmful mold and asbestos can be unearthed with these methods, unnecessarily exposing your family to illness that could otherwise be avoided. With innovative, trenchless line replacement solutions, these risks are completely avoided. Trenchless pipe bursting only deals with your existing water lines, leaving the soil above (an any possible, harmful mold concentrations) untouched. Despite what many homeowners think about Perma-liner and epoxy resin repair solutions, these innovative pipe replacements have a high-performance lifespan of over fifty years; trenchless replacement pipe can give you peace of mind about your home water line for half a century. Not only can trenchless water pipe replacements repair any damage to your pipes, major or minor, but they can also prevent future line damages from occurring. These Perma-liner technologies create a powerful, sturdy coating against further line intrusions, and provide much more than a temporary pipe solution. Fortunately for homeowners in the Sacramento area, the trenchless technology experts at Express Sewer & Drain can find the right pipe repair solution for any specific circumstance. Where pipe bursting can efficiently replace any extensively damaged home water line, other trenchless techniques exist for additional damage situations. Sectional point repair is the perfect solution for concentrated, localized pipe repair, and manhole-to-manhole lining is the ideal way to renovate municipal pipe lines. If you’re experiencing trouble with your home water line, and expect damages for which professional renovation may be required, contact a trenchless specialist right away. If you live in the Sacramento area, the water line repair experts at Express Sewer & Drain are available to assess any of your home plumbing needs. Our seasoned professionals offer unmatched service when it comes to trenchless, cured-in-place pipe repair. Contact us today!